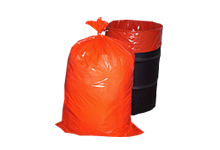 Poly Bag Central carries many products specific to the food industry. You’ll find Vacuum Pouches in 30 stock sizes along with over 70 stock sizes of Polypropylene, Saddle Pack Deli, Clear Wicketed, Ice, Lip & Tape, Sandwich and Silverware Bags. Stock items ship within 24 hours. 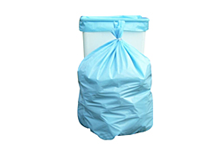 Bread Bags are designed of low density polyethylene (LDPE) that meets FDA and USDA specifications. Bread bags are mounted on a 5” wire wicket that can holds 250 bags and are packed 1,000 per case. Roomy bottom gussets allow for expansion, and ease of loading, increasing your productivity. Silverware Bags in a convenient dispenser box deep your restaurant’s silverware neat, clean and organized. 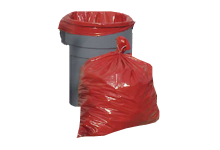 Our silverware bags are made of 100% virgin low density polyethylene (LDPE) that meets FDA and USDA specifications. To increase your productivity, our silverware bags feature a flap that easily folds over to keep the bag closed without sealing or tying. Vacuum Pouches provide a flexibility and convenience that is simply not found with other types of food service packaging. Looking for an attractive method of keeping perishable food items such as meats, cheese, poultry and other items pristine? Made with 9-layer poly-nylon film, Poly Bag Central’s3 mil vacuum pouches are non-channeled and provide excellent moisture transmission rates (less than 5g/sq.m) and oxygen transmission rates (less than 45 cc/sq.m). We offer 30 different sizes ranging from 5 x 7” to 18 x 28”. Polypropylene Bags provide you with a flexible option when it comes to displaying a variety of snacks, candies and more. Polypropylene bags are crystal clear and truly show-case the contents. 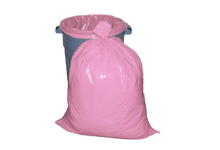 We offer polypro bags in 1.5 mil layflat and gusseted as well as our new reclosable polypropylene bags with hang holes. Sandwich Bags in a handy dispenser box make it quick and easy to create ready to eat meals. Clear sandwich bags are available with a convenient flip-top or reclosable closure.